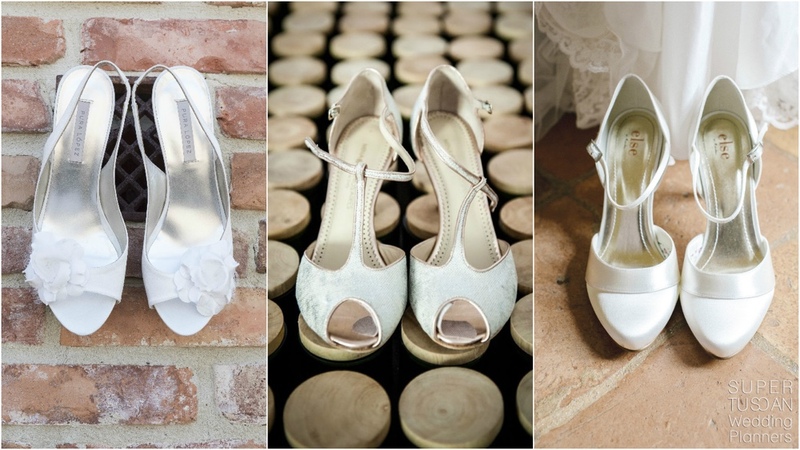 Give a bride the right wedding shoes, and she can conquer the world! We have recently decided to give our website a face lift and to do this we decided to go with a color that will be very fashionable and popular next year…curious? I’m not going to tell you immediately what the color is but I will give you a couple of tips that will help you figure out what it may be! 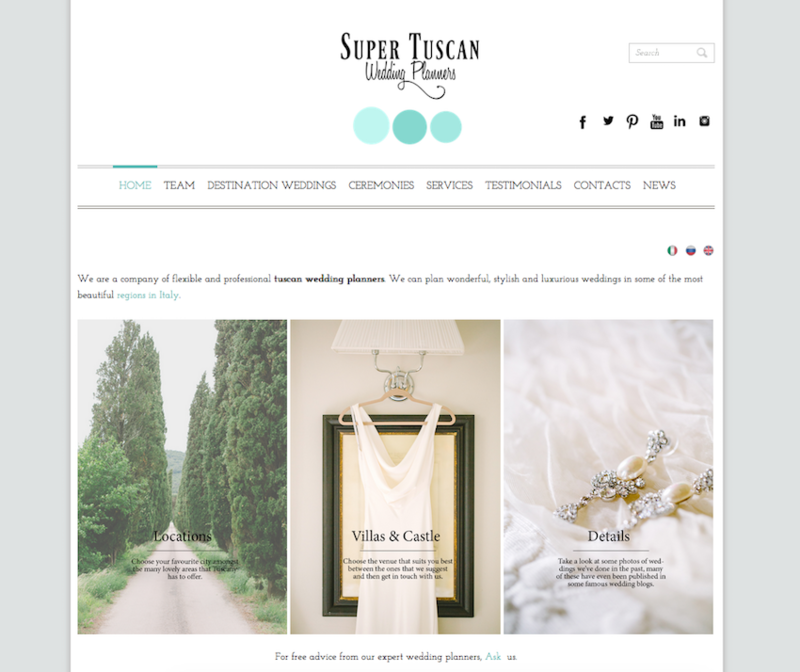 We like to be very up to date on what the new wedding trends will be and are often going on courses to better our knowledge of everything that concerns weddings and style. Recently, we have also given a new look to our office and even ourselves in an effort to be at the top of our game. Soon we will be opening a showroom right next door to our office so that our future brides and grooms can come and make decisions on the style they want to have on their wedding day. To create this new look for our website we were inspired by one of the most renown fashion icons of all time, the stunning and stylish Audrey Hepburn. In her honor we chose the color made famous by one of the most famous jewelry companies of all times…Tiffany! So there you have it the color we decided on is Tiffany blue. 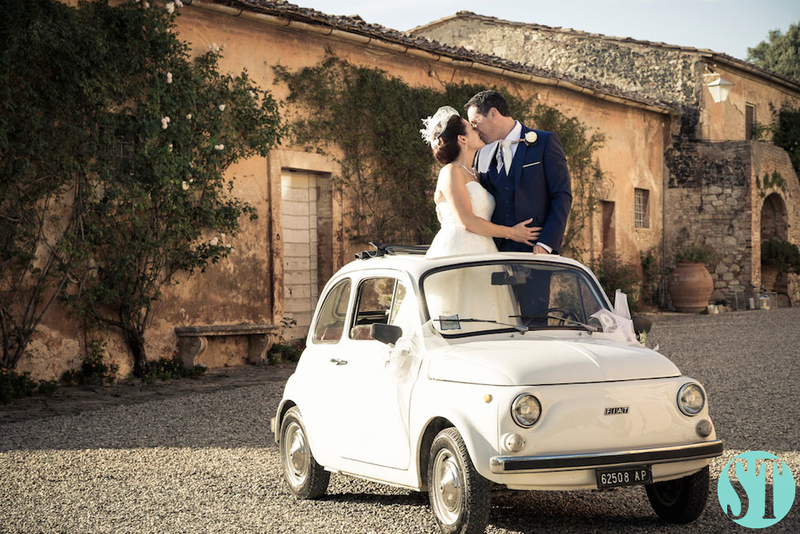 More and more of our lovely brides choose simple hairstyles for their wedding day in Tuscany, take a look at some of the styles that have been popular this year. We will be in Dubai from November 14th to November 19th… meet us there!!! Please contact us ! 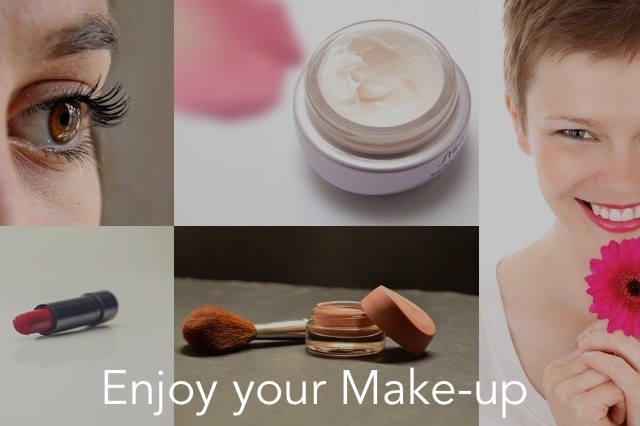 May you be addicted to beauty treatments or completely unaware of this giant world…you won’t ever face your wedding day without it! Dedicating a whole day to the cure of your body (and skin in particular) is very important! Not only because I said so.. 😉 but also because it’s a real panacea for the body and for the soul above all! 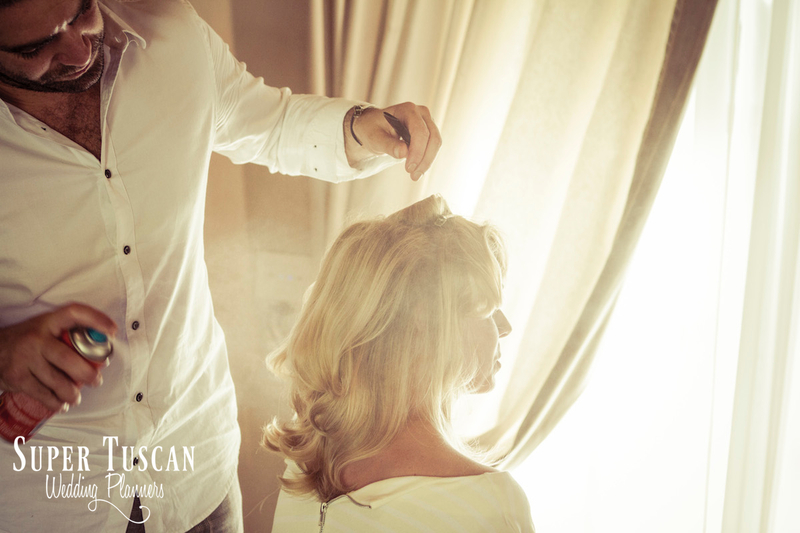 So, while planning your destination wedding day, don’t ever ignore to plan also all the preparations needed. 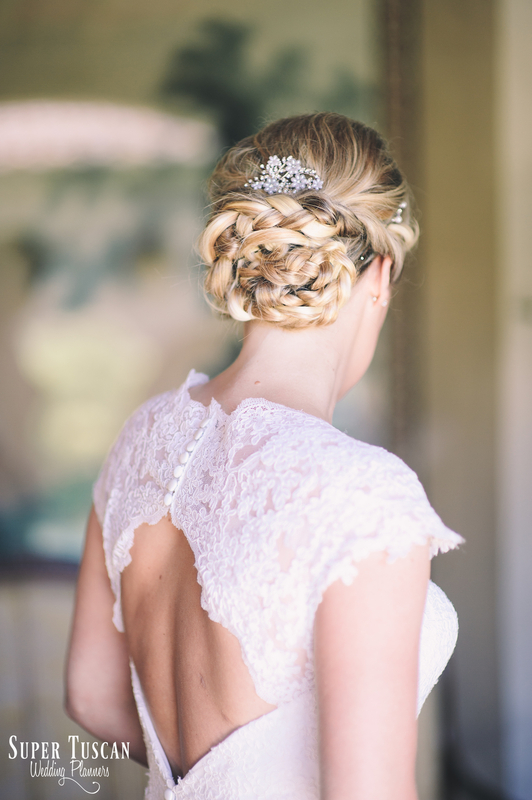 Braids: the 2014 Trend for country & romantic bride hairstyle!! The sun is getting warm and this means that spring is finally arrived! Why do you not celebrate this season with what most represents it? Flower crowns, fresh make-up, colourful and light dresses are ready to be taken out of the wardrobe! Romantic styles must be as simple, fresh and creative as possible and this year, as in past years, hair braid ideas are again confirmed as the most fashionable spring hair trend! Don’t believe it? Take a look at the last New York Fashion Week runways! After all, braids represent the perfect complement for any fresh summer look and most of all, for the greatest country and romantic bride hairstyle! Have you ever thought about giving your friends and family a pair of sunglasses? Well, a nice way to look great and stylish in your wedding portfolio… 🙂 Make invitation cards with your ideas andmake everybody wear a bit of style.. and history!! Now read about the story of the super famous Rayban and Persol! Luxottica is the biggest world producer of lens and eyeglasses frames. The company was born in Italy in a small village in the North of Italy and is now ranked 8th among the Italian companies with the best reputation ever (according to the Reputation Institute). But let’s leave this economic data and concentrate on the great man behind this famous brand!